The best way to strengthen the longevity of grapes is putting them in the refrigerator. It should be done immediately after you arrive home. The idealist temperature for storing grapes changes from 30 to 32 degrees Fahrenheit. 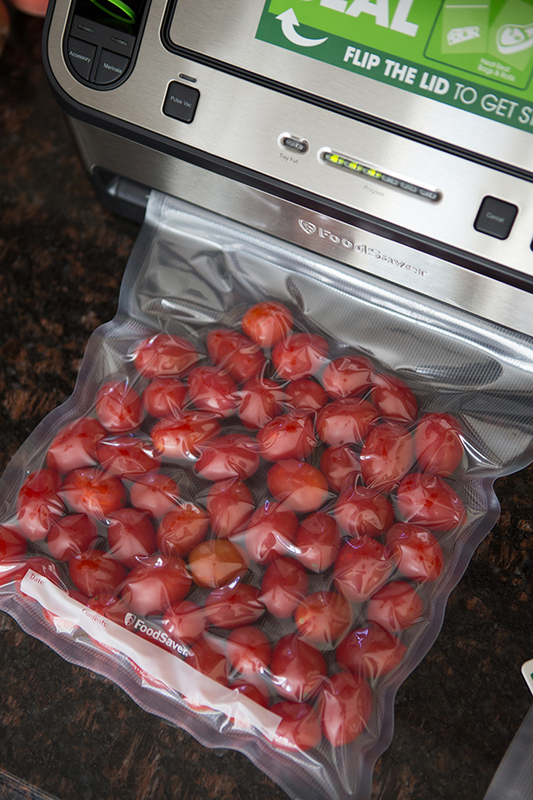 You actually need the support of vacuum sealers or sealed plastic bags to wrap grapes. Remember not to wash the grapes before storing them in the refrigerator. Although washing can remove dirt on the skin of grapes, it also makes the ripening process occurs faster. Therefore, your grapes might be spoiled within a week. Here is a common mistake that many people make when storing fruits in general and grapes in particular. It is advisable for you to wash your grapes with the aim of immediate freezing. A cookie sheet is important in preventing the grapes from sticking and freezing. After that, put them in the vacuum sealer when they become completely frozen. The back of the refrigerator is often cooler and can make your grapes last longer. If you store your grapes in this place, they will be fresh during 2 and 3 weeks. In case you order grapes with large quantities, promoting the air circulation among them by separating different bunches of grapes. Place grapes near each other to protect them from spoiling earlier. Separate your grapes from other types of food to eliminate bad odors such as garlic or onions. As you know, grapes can also absorb stale tastes from other foods. Like other types of fruits, you should wash carefully grapes before eating and cooking. This is a necessary step that helps remove bacteria affecting your general health. When grapes are removed from the refrigerator, they should be eaten within 3 days. After 72 hours, grapes start wrinkling and shrinking. You should remove grapes from freezing before including them in a package or before eating. This brings the cool and fresh taste of grapes. Moreover, when it comes to picking the fresh grapes , they actually continue to ripen. It is necessary for you to keep them in refrigerator for more long-lasting life. Last but not least, grapes bruise quickly. They require you to gently handle and store grapes when pulling them out of the refrigerator. This protects grapes from being soft and squishy. Remember to take these points into your account to have longer, fresher and juicer grapes. Good luck to you!